CitiusTech, a leading provider of healthcare technology solutions and services, headquartered in Mumbai, announced today that it has made a strategic investment in FluidEdge Consulting (FluidEdge), a national healthcare management consulting company headquartered in Philadelphia, PA.
Avendus Capital was the exclusive financial advisor to CitiusTech on the transaction. FluidEdge focuses its capabilities within the operations and IT areas of health plan, life sciences and provider organizations. The organization has an experienced team of healthcare technology and management consulting professionals with deep expertise in business, operations and technology, along with a strong understanding of emerging trends in value-based care. “FluidEdge has excellent business and technology consulting capabilities. Our partnership with FluidEdge enables us to strategically engage with healthcare customers, leverage technology to define enterprise solutions, and build and deploy these solutions to drive business performance,” said Rizwan Koita, CEO of CitiusTech. 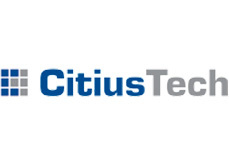 “We are excited to partner with CitiusTech. CitiusTech’s sizeable industry presence and strong technology team complement our core competencies and give us the ability to compete effectively on larger contracts and derive significant cost advantages. We also anticipate multiple opportunities to jointly develop world-class solutions to address complex industry needs. We are looking forward to this partnership,” says Shawn Archambault, President of FluidEdge.